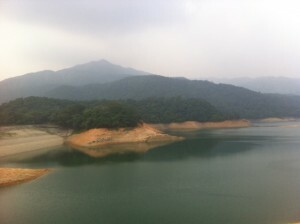 This walk of 2-3 hours is probably among the most popular countryside walks in HK, for its easiness of access and walk in addition to pretty reservoir scenery. The walk was really easy, all the way on concrete pavement, with most of the time commanding view of Shing Mun Reservoir, which was built in 1937. 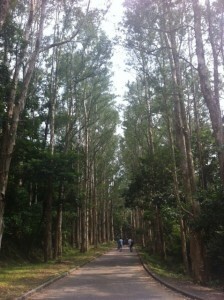 Though it was easy walk, there were enchanting views from time to time. On the way, you may encounter cows left unattended. And beware of the many monkeys which are aggressive. I saw one jumping repeatedly at one hiker holding sandwich in his hand. Don’t show you food or you will be in trouble. Take MTR to Tsuen Wan (荃灣）. 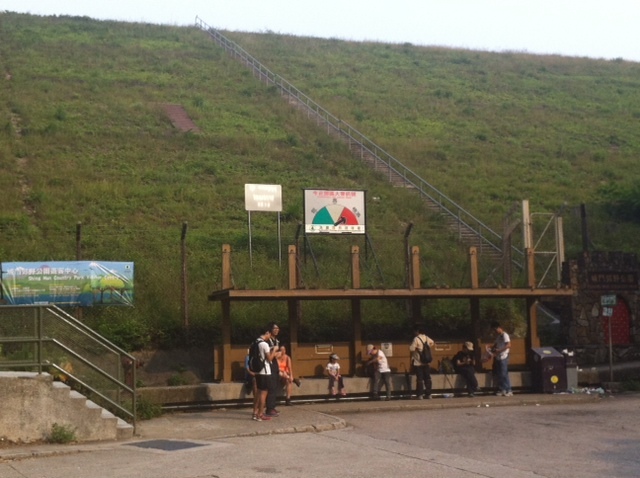 Take Exit A1 to go to Shiu Wo Street (兆和街） and take mini bus No. 82. 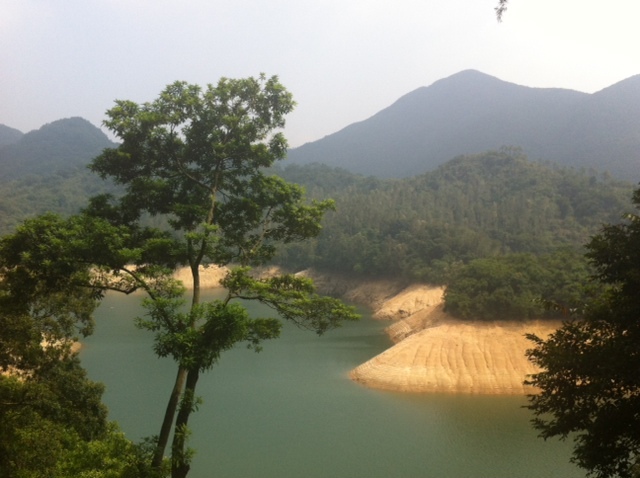 The ride is about 20 minutes before reaching Shing Mun Reservoir. 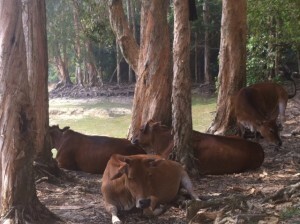 This is the minibus stop at the Reservoir area. 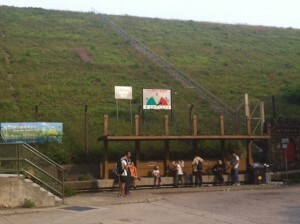 To the left of the bus stop, is a staircase with signs saying that it is a “Nature Trail”. Go up the staircase. 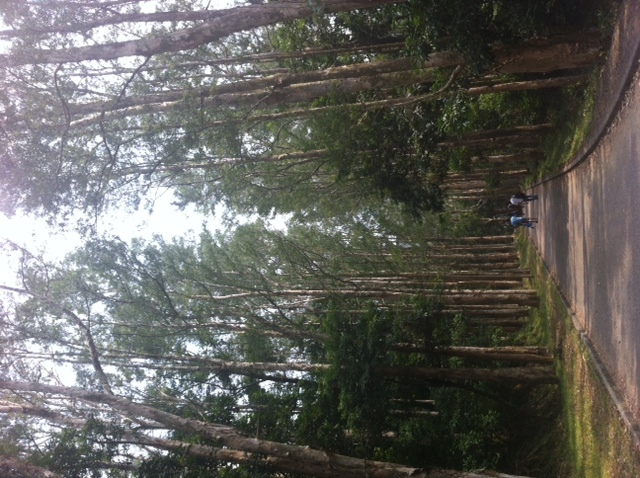 After about a 10-minute upward hike, you arrive at a level ground and at a junction. Turn right so that you can make a bigger circle around the reservoir. 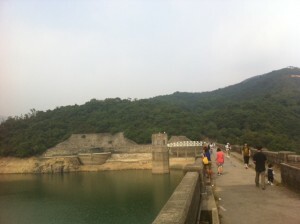 Towards the end of the walk, you will come to the main dam of the reservoir. If you follow the path leaving the reservoir, you will end up at the bus stop again, but this time approaching it from the other direction. Taking the same minibus (no. 82), you will reach Tsuen Wan again.
. what is the time taken for the whole trail. I will be leading a group of elderly, is it ok?
. 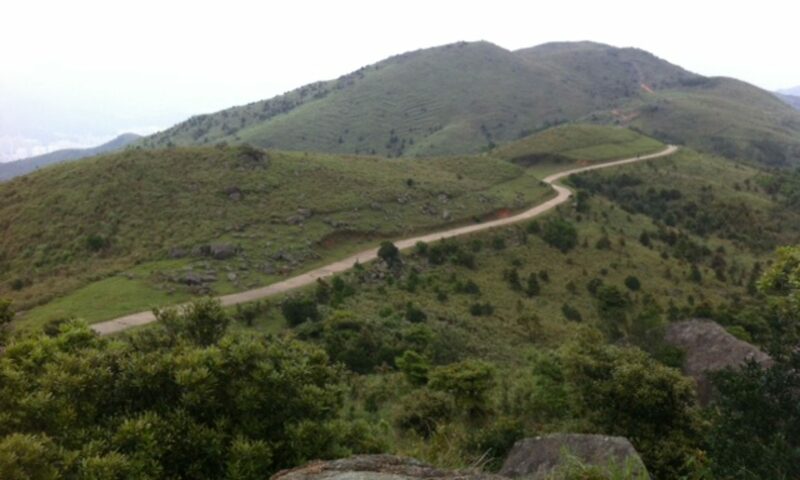 there be many monkeys along the route?
. could you mark the trail on a map and send to me.